Sign up now for UEN's text messaging alerts. Be the first to know about Upcoming Courses. Preview this week's Faculty Lounge. Learn from our TechTips. 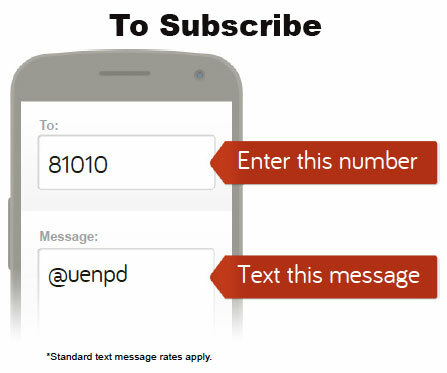 To stop receiving the UEN text alerts simply text "unsubscribe @uenpd" to 81010. A brief message sent between cell phones, containing text, usually input via a cell phone.